Definition at line 70 of file llheadrotmotion.cpp. Definition at line 69 of file llheadrotmotion.cpp. Definition at line 68 of file llheadrotmotion.cpp. 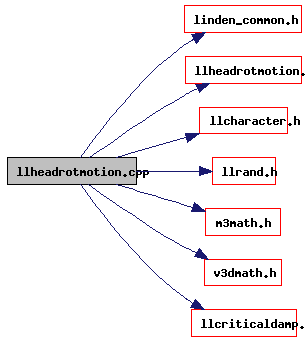 Definition at line 71 of file llheadrotmotion.cpp. Definition at line 72 of file llheadrotmotion.cpp. Definition at line 59 of file llheadrotmotion.cpp. Definition at line 57 of file llheadrotmotion.cpp. Definition at line 58 of file llheadrotmotion.cpp. Definition at line 56 of file llheadrotmotion.cpp. Definition at line 65 of file llheadrotmotion.cpp. Definition at line 61 of file llheadrotmotion.cpp. Definition at line 64 of file llheadrotmotion.cpp. Definition at line 60 of file llheadrotmotion.cpp. Definition at line 63 of file llheadrotmotion.cpp. Definition at line 62 of file llheadrotmotion.cpp. Definition at line 51 of file llheadrotmotion.cpp. Definition at line 66 of file llheadrotmotion.cpp. Definition at line 49 of file llheadrotmotion.cpp. Definition at line 52 of file llheadrotmotion.cpp. Definition at line 55 of file llheadrotmotion.cpp. Definition at line 54 of file llheadrotmotion.cpp. Definition at line 48 of file llheadrotmotion.cpp. Definition at line 47 of file llheadrotmotion.cpp. Definition at line 50 of file llheadrotmotion.cpp.